COOPER HOUSE FALL OUT SHELTER 1961. 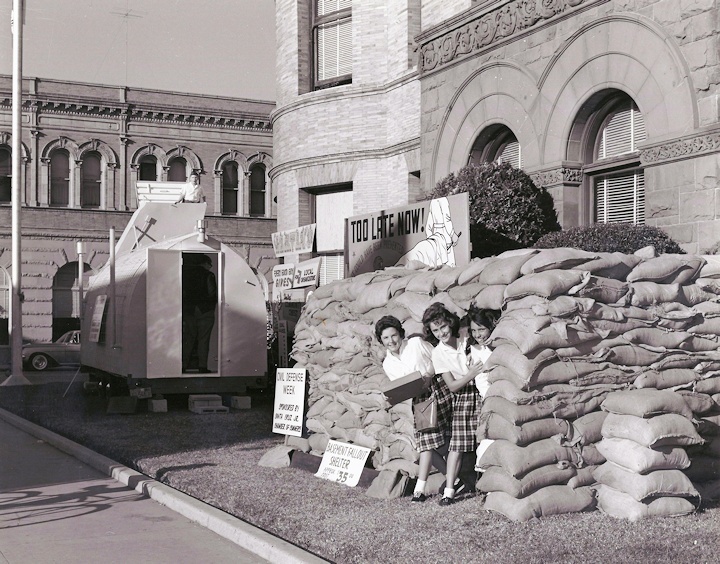 These coeds are proving just how wonderful our Civil Defense was against somebody back on October 30, 1961. 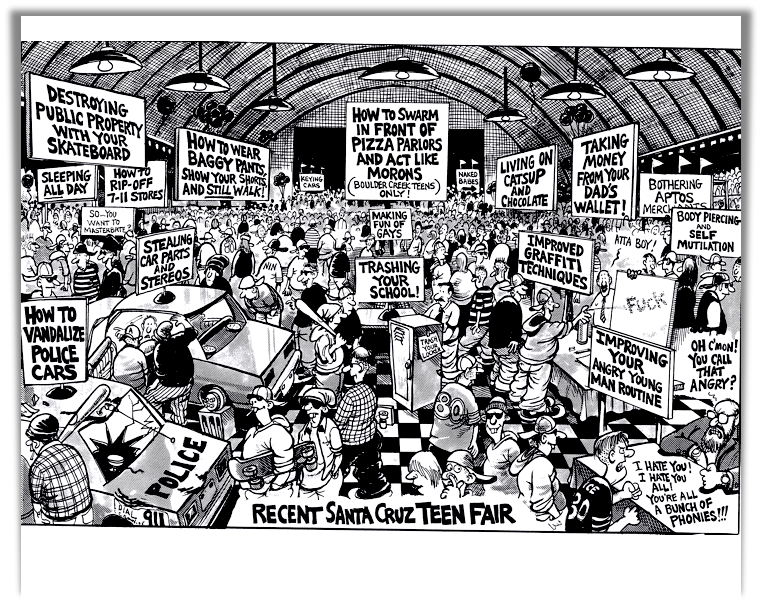 This was the Santa Cruz County Court House before it became the Cooperhouse. CONGRATS TO LEOPOLD, ZACH, MONNING SAM FARR & BEWARE McPHERSON. We watched in amazement as secret money bought such high returns not only to the Tobacco Tax proposition but to Eric Hammer’s Supervisor race against Bruce McPherson. Just watch now, maybe in a few weeks some new group with an environmental sounding name like “Friends Around Rural Trees” will start sending out really bad news about Hammer. Those mailings will kick in around mid September and get nastier about Hammer’s past history. McPherson will deny any knowledge of the mailings. It’ll be like the Tobacco Tax campaign…only all local. The mailings will be like the hard selling PRO DE SAL flyers that Cynthia Mathews was passing out at the San Lorenzo Park booth that said “Resist the Anti-Desalination Propaganda Machine” it was from the phoney and unknown “ILFGJA Coalition”….and nobody has admitted any connection to that either. Politics are getting dirtier and dirtier around here with each issue. BUT watch the McPherson campaign, if there is one!!! SPEAKING OF TIGHTROPING NIAGARA FALLS. Watch this real-life adventure of a guy standing in the middle of the Niagara River. Talk about tension!!! UCSC AND LAFCO AND STUDENTS AND DE-SAL. THE STRATOSPHERE RIDE IN LAS VEGAS. 906 feet above terra firma…now we need the Boardwalk to get one of these. As you will recall, I represent the Community Water Coalition, which has been urging LAFCO to delay any extension of water service to the UCSC North Campus until the City’s water supply situation is more certain. LAFCO continued the item, so you can expect to be hearing more as LAFCO meets in August, September and October. Meanwhile, I encourage you to learn about the relationship between water and land use, and there are two great opportunities Thursday 6/14. The Coastal Watershed Council is hosting a “tour” of the facilities of the Soquel Creek Water District, beginning at 6:00 p.m. You need to RSVP. Engineers for Water Alternatives will hold a forum on “conjunctive use.” That forum will be held at the Ecology Action Building, located at 877 Cedar Street in Santa Cruz. WHO’S IN CHARGE HERE??? Doesn’t it seem unfair now that we’ve had such beautiful weather and the sun sets at exactly the right time that on June 21st days start getting shorter again? You’d think that Ryan Coonerty, Gary Griggs or even Fred Keeley would be able to do something about that. Concern by Aptos area residents over the immensity of Safeway’s proposal for the Rancho Del Mar Shopping Center “upgrade” continues. Aptos Neighbors and Seacliff Improvement Association members invited Charlie Eadie from the consulting company representing Safeway to tell us more about it. Following Charlie’s presentation on June 4th, several key questions were asked by the audience, most all from attendees wanting to know what Safeway’s plan was to handle even more traffic in the area and bemoaning the loss of everybody’s favorite local businesses that will be displaced, either permanently or for one or two years. And of course, the leading traffic bottleneck there is Safeway’s current gas station was on the top of that traffic problem list. Nobody in the audience said anything like, “gee, we really need this”, which means there were no “plants’ in the audience. Personally, I see nothing but takeaways for the community. But as Charlie said, what he presented isn’t cast in stone…yet. Along that line, Safeway has mailed 4,000 postcards to nearby residents inviting them to another show-and-tell on June 20th, when actual Safeway people will be in attendance, hopefully to answer direct questions. This meeting will be announced in the Sentinel, but right now it’s scheduled for a vacant store (used to be a video store?) at Rancho Del Mar that seats 200 people. If you want to let Safeway management know how you feel about their proposal, put this date on your calendar. Ask the Safeway reps some tough questions, like will we see a Ross store? Or will former Rite Aid customers have to use Safeway’s pharmacy? And will former Ace Hardware users have to drive to 41st Ave or Watsonville to buy their hardware products? GORILLA ATTACK. Just for fun!!! EAGANS DEEP COVER. 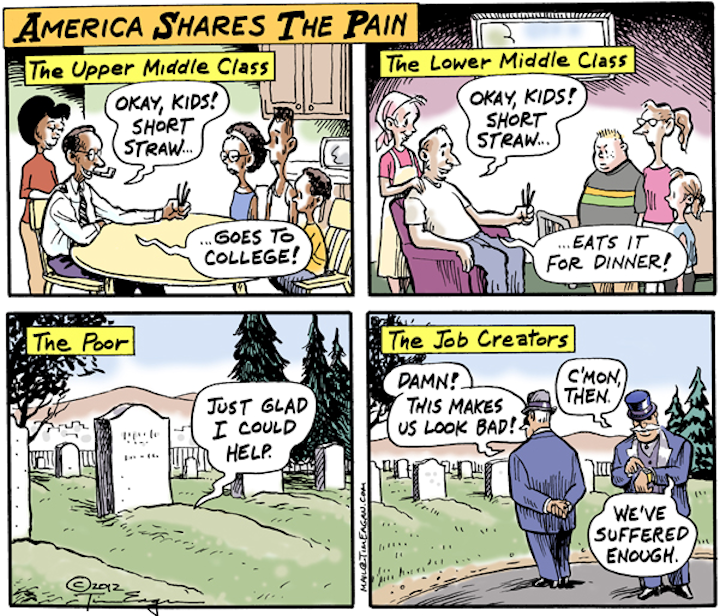 Tim draws The American Pain….see below. Micaela Neus (direct from Palmer Station Antarctica) writes…” This past Thursday (6/7), I attended the last Weekly Science Lecture of the research season given by a member of the only science group left on station. Every week from October to May, scientists take turns presenting short presentation about their past or present work and explain the project they’re pursuing in Antarctica. All the US stations have science lectures open to everyone in the community; however, the close working relationship between the crew and the researchers at Palmer Station imparts our lectures a special air of intimacy. One of the three grantees who will stay the winter spoke about the unusual mitochondria of white-blooded ice fish that live in the Southern Ocean. Mitochondria produce the energy within cells that allow muscle to do work, such as contract to pump blood through the chambers of the heart. They require oxygen, usually carried by the hemoglobin on red blood cells. However, ice fish have evolved away from hemoglobin (hence their blood is not red, but white) and their mitochondria have adapted to this change in oxygen delivery. No one quite knows what to make of their unusually large and somewhat misshapen mitochondria. The biologist who presented normally studies mitochondria in other species, and she came down here to do some of the basic experiments needed to begin investigating the ice fish phenomenon. I won’t embarrass her (or myself) by attempting a more detailed explanation of her research. A year’s worth of weekly lectures has contributed immeasurably to my general scientific literacy, nonetheless. I love hearing specialists describe their work complete with their frustrations and unresolved issues, and then open the floor up for questions to colleagues and trades people alike. Most will happily explain even rudimentary topics to a genuinely interested audience, and I frequently exploit their good nature. The open dialogue not only supports our general feeling of community, but also gives some substance to the idea that science belongs to all of us. Why don’t we share knowledge more fluidly outside Antarctica, I wonder. It’s so much more meaningful to have a steady, ongoing rapport with researchers than attend random talks or watch an hour special on television. And people could understand that yes, they personally know Real Scientists. They’re not all mythical heroes bringing Promethean fire to the mortals, nor are they hucksters who say anything to make a buck. They go to the grocery store, they know some things but not others, and they have pet peeves. They wear pajamas, that’s for sure. I’ve seen them, and they’ve seen mine: that’s a bond of trust not easily broken”. LISA JENSEN LINKS. Lisa writes: “Lisa Jensen Online Express (http://ljo-express.blogspot.com/), will be on hiatus for one more week while Art Boy and I go on pilgrimage to the Old World. Check back at the end of the month for all the arts and entertainment news that fits.” Lisa has been writing film reviews and columns for Good Times since 1975. HYSTERIA. If you are really into vibrators or vice versa…this light fantasy funny Brit film is for you. For sure, watch the closing titles for an historic collection (and evolution) of vibrators. Only Maggie Gyllenhaal does any acting, the rest are typecast and boring. PROMETHEUS. Ridley Scott has directed some fine Science Fiction films like Blade Runner and Alien. This is a loosely connected part of that trilogy that searches in space for the origin of life on earth. But it’s full of stupid wars, battles, and money making scenes that detract from any meaning. At least it has sets and effects designed by Swiss Surrealist H.R.Giger. He’s the best, and the effects in Prometheus aren’t quite as elaborate as back in the day but it’s worth seeing this film just for Giger’s work. Charlize Theron, Noomi Rapace, Guy Pearce and Michael Fassbinder are in it and they’re perfect but it could have been better. PEACE, LOVE AND MISUNDERSTANDING. Even director Bruce Beresford and Jane Fonda, Catherine Keener and Elizabeth Olsen couldn’t overcome the cutesy, faux hippie, Woodstock stereotype plot. Don’t go, it isn’t any fun, you can’t learn anything from it and Jane Fonda does a fair job but her role isn’t worth viewing either. THE TEMPEST starring Christopher Plummer happens Thursday, June 14 7:00pm at Regal Cinemas Santa Cruz 9, Santa Cruz, CAPresented by Canada’s Stratford Shakespeare Festival. A Q&A session with Christopher Plummer and director Des McAnuff follows the play. DANNY BOYLE’S FRANKENSTEIN. Go see this before it’s too late I saw it last week. NOT the monster movie plot you expect…more the confrontation between creature and creator. It’s the National Theatre Live “telecast” .Frankenstein enjoyed a sell-out run at the National Theatre, and went on to win awards including the 2012 Olivier Award for Best Actor for Benedict Cumberbatch and Jonny Lee Miller. They alternated the roles of Victor Frankenstein and the Creature throughout the show’s run at the National Theatre in London. It’s at The Del Mar that’s June 17 at 11 am. and June 21 at 7:30pm….great live theatre televised!! !